1. The desire to turn from the way in which one is traveling is the first step toward conversion. Sinner friend, if you are satisfied to be serving the devil, if you have no desire to break with sin and live a new life, then you are not interested in becoming a Christian. “Godly sorrow worketh repentance” (II Cor. 7:10)—And if you are not sorry for your sin, you have no desire to turn from your sinful way. SOURCE: Dr. Oliver B. Greene; “I AM THE DOOR,” pg. 10; © 1967. Dr. Oliver B. Greene is preaching ANOTHER GOSPEL. Please hear me out before you disagree with me. Romans 4:3a, “For what saith the scripture?” Dr. Greene errantly says that you must have a “desire to break from sin and live a new life” to become a Christian. Is that biblical? No it is not! I triple-dog dare you to show me even one Scripture that supports Dr. Greene's false claims. There is NOTHING in the Bible which commands us to start “traveling in the opposite direction” before we can trust Christ. In fact, our decision to trust Jesus IS OUR REPENTANCE. Believing and repenting are NOT two separate actions, they are one and the same act. The man who believes on the name of Jesus has repented. To “repent” means to “think differently,” not to go a different direction in one's lifestyle, or forsaking sinful ways. Dr. Greene wrongly says that to be saved a person MUST “desire to break from sin and live a new life.” I find nothing in the Scriptures which teaches that I must be willing to live a NEW LIFE to be saved. When I trusted Christ at age 13, I was not willing to live a new life. I was not sorry for my sins. I had no desire to clean up my life. Those qualities CAME AFTER I was saved, as a result of the indwelling Holy Spirit. Dr. Greene is 100% correct that a person must realize their sinnership and confess that realization to God. By “confess” I do not mean to audibly say something with your mouth; but rather, to simply agree with God's Word in your heart that you are a guilty sinner in His sight. No man has ever been saved who didn't admit that he is a sinner. Unfortunately, Dr. Greene corrupts the Gospel when he ADDS the unbiblical requirements to “have a desire to turn from sin and begin traveling in the opposite direction” and “live a new life.” These are NOT part of the Gospel. The TRUTH is that you don't have to be willing to stop any sins, nor live a new life, nor have a desire to do anything, except believe the “Good News” of Christ's death, burial and resurrection!!! Whatever changes God wants to happen in your life will be dealt with AFTER you are in Christ, that is, saved. And may I say, kindly, to be saved does NOT mean to be “converted” as Mr. Greene falsely claims. I don't know where Dr. Greene got that wrong idea from. Romans 10:13, “For whosoever shall call upon the name of the Lord shall be saved.” I looked up the meaning of the Greek word for “saved” in Romans 10:13, which is sozo, meaning “to save, that is deliver or protect.” Not even a hint is given that the word means to be “converted.” Do you see how slick a false teacher like Dr. Greene can be? Mr. Green perverts the truth, twisting the Scriptures to bolster up his strawman heresy of false repentance from sinful ways to be saved. Greene requires that a person have a sincere willingness to life a new life, and start going a different direction. My friend, this is manmade reformation, not the life-changing power of the indwelling Holy Spirit. The tragic thing that really bothers me are all the shallow, lame, compromised and cowardly Baptist pastors today, who are all but hopelessly brainwashed with the false teachings of men like Oliver B. Greene, Ray Comfort and John MacArthur concerning repentance. I spoke with one Baptist pastor, informing him that some of his religious tracts in his church contain false teachings, telling people that they must forsake their sinful ways to be saved. HE DIDN'T CARE! The tracts stayed! What a sorry loser for a pastor. It is a sad reflection of his inadequate walk with God. When I spoke with him further about it, his excuse was that in order to turn to Christ, a person needs to also turn from something. Although he is correct in a sense, he is also very foolish to idly dismiss the satanic requirement that a person must forsake sinful ways in order to believe the Gospel. The latter is VERY different than the first! In other words, turning to Christ by faith from one's unbelief and the awfulness of your sins to be saved, is VERY different than actually turning away from the desire and act of committing sin! The former is salvation, the latter is mere religion without the new birth. Granted, I have defended Dr. Greene in past articles, giving him the benefit of the doubt, despite some of his questionable teachings. But I just cannot do it anymore. I've read too many questionable statements that have finally convinced me that Dr. Oliver B. Greene has a wrong view of repentance, and if a man is wrong on repentance, he is wrong on everything else too! It's like buttoning a dress shirt, that is, if you get the first button wrong, then all the buttons will be wrong! When you tell someone that they are not ready to be saved until the are willing to clean up their life of sin, you are preaching ANOTHER GOSPEL! But you say, surely a person cannot be saved and continue in their sinful ways; such as, a murderer or bank robber? When a person comes to Christ, the Holy Spirit instantly indwells that person. It is the Holy Spirit that convicts a person about sin in their life, and the needed changes that God wants to take place. But this is all AFTER THE FACT, once a person is in Christ. The big mistake that many preachers are making is to mandate behavior modification (or a willingness to change) in order to be saved, which is works. That is not the free grace Gospel as taught in the Scriptures. It is a completely different mindset. True biblical repentance is a change of mind from wrong thinking to believing the Good News! The churches today have been infected with the heresy that requires a person to forsake sinful ways to be saved, which cannot produce the new birth, because it is based upon self-reformation (works) and not complete trust in the finished redemptive work of Jesus Christ. And in many cases, false teachers go much farther, requiring that a person not only forsake sinful ways, but continue turning from sins for the rest of their life. That is EXACTLY what false prophet Ray Comfort tells people!!! Alexander Marshall To the Repentance Rescue! This is VERY different than the theological garbage Oliver Greene is teaching, where he demands that you be willing to live a new life away from sin! Dr. Greene is conditioning salvation upon a willingness to reform! 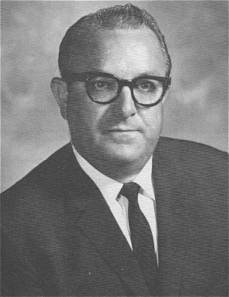 Did Oliver B. Greene Repent Himself in 1970, Changing His Views On the Gospel? One thing that I have learned about preachers is that we all learn as we go. Unfortunately, once you've written a book or published any type of permanent media, it cannot be changed later on. I sincerely believe that cartoon evangelist Jack Chick knew his Chick Tracts were corrupt. Take a look at his website's statement of faith. Mr. Chick webpage doctrine is 100% accurate (as of September 12, 2016). He never mentions the word “repent,” not even once. Then take a look at his FAQ page that addresses the question, “Why Chick Tracts Preach Repentance.” Please notice that Mr. Chick never defines “repentance” here as turning from your sins to be saved. Yet, in every one of the 800,000,000 Chick Tracts that he has sold over the past 50 years, he errantly teaches people that they must “Be willing to turn from sin (repent)” to be saved. THAT IS NOT THE GOSPEL!!! “True repentance is sorrow for sin committed against a holy God and not only sorrow for sin, but TURNING FROM SIN, FORSAKING SIN AND TURNING TO GOD. Sin nailed the Savior to the cross and certainly that fact alone is sufficient reason why ALL WHO HAVE GENUINELY REPENTED HATE SIN AND FORSAKE SINFUL WAYS” (Oliver B. Greene, Commentary of Acts of the Apostles, Acts 2:37-38, 1969). “I know there are people who cry long and loud that believing on Jesus is not sufficient for salvation. It is true that intellectual belief is not saving faith. There are many who believe that a Man named Jesus lived—but that is not enough. Many believe that He was a great Teacher, a great Preacher, a great Healer—but that is not enough. Believing that He died a martyr's death is not believing unto salvation. James 2:19 tells us that even the demons believe—and tremble; but demons are not saved. The demons believe in that they know there is a God—omnipotent, omniscient, and omnipresent. They know that one day they will be cast into the lake that burns forever with fire and brimstone. But I declare on the authority of God's Word that believing as it is taught in the Word is sufficient to 'born' a sinner into God's family! Believing on Jesus for salvation means trusting Him wholly, entirely, placing your life and your eternity in His hands. Believing on Jesus for salvation is resting your case on Him, believing that He is able and willing to do all that He promised. Nothing less will bring about the new birth—and if you hope to enter heaven you MUST be born again. You must be born of the Word and of the Spirit. There you have it. We are saved by BELIEVING! Repentance is a change of mind that enables believing. If a man didn't repent, he'd never come to Christ at all (John 3:20). Repentance is admitting one is a guilty sinner in the sight of a holy God (Romans 3:19). A changed life is the FRUIT of the indwelling Holy Spirit in every believer, and not a part of the ROOT of saving faith. That is critically important to understand concerning salvation. The Apostle Paul speaks about the ROOT of a believer's faith in Romans 4:5-6, but the Apostle James speaks concerning the FRUIT of a believer's faith in James 2:18-21. Abraham was saved in Genesis 15:6 by faith alone in the Lord, but Abraham's faith was validated in the eyes of men in Genesis 22:10 when he offered up Isaac his son in obedience to God. Notice in the next Bible verse that James says “shew me” and I will “shew thee” my faith. James 2:18, “Yea, a man may say, Thou hast faith, and I have works: shew me thy faith without thy works, and I will shew thee my faith by my works.” Clearly, James is speaking about justification by works in the eyes of men. But with God, a man is solely justified by faith. Dr. Greene has spoken out of both sides of his mouth. In 1967 he taught that a person must have a desire to live a new life and turn away from their sins to be saved, but then in 1970 he said that believing the Good News of Jesus Christ is enough. If believing is enough, then a desire to live a new life is NOT necessary, nor can be required. Dr. Greene is confusing at best. My intent is not to criticize Dr. Greene; but rather, to defend the simplicity that is in Christ. I am set for the defense of the Gospel, as said the apostle Paul. No man is exempt from scrutiny and criticism if he teaches errantly. I am not sure if Dr. Oliver B. Greene was saved or not. It is my heartfelt feeling from reading his 1970 book, “BELIEVE and BE SAVED,” that he was saved when he died in 1976. However, it is clear to me, at a minimum, that Dr. Greene had flawed views on repentance, ignorant of the truth. Again, you CANNOT use the Scriptures to support the erroneous claim that repentance means anything more than a simple CHANGE OF MIND. Alexander Marshall got it 100% right. Why is it that some men get repentance right, and others get it so horribly wrong? How does that happen? I believe it has to do with the influences in a particular preacher's life. So many preachers in this spineless generation have been corrupted by Dr. John MacArthur, including Evangelists' Ray Comfort and Kirk Cameron. Paul Washer also gets it horribly wrong! They are caught between grace and works!!! Salvation is solely BY GRACE!!! If you are not sure where to stand in this matter of repentance and the Gospel, I challenge you to search the Scriptures! What saith the Word of God? I heard Jack Chick trying to justify his heresy that says: “be willing to turn from sin” to be saved. He misinterpreted Luke 13:5, “except ye repent, ye shall all likewise perish.” Mr. Chick used this passage to prove that repentance is necessary for salvation. But no one ever challenged Jack Chick, nor called him out doctrinally, for teaching repentance; but rather, he was called out for teaching that repentance means to “be willing to turn from sins.” That is the problem! Repentance is merely a change of mind, nothing more. It is not turning from sinful ways, that is, behavior modification (reform). Biblically, a changed life is the FRUIT of the indwelling Holy Spirit, and not a part of the ROOT of saving-faith. A man's faith is COUNTED for righteousness. Why? It's because God imputes the righteousness of Jesus Christ to us by faith (Romans 4:6). Amen! What Did Pastor Charles Spurgeon Believe About Repentance? (God saves sinners AS IS!!!). Spurgeon is 100% correct—God only saves THE UNGODLY, as they are in their wickedness, without even the slightest improvement at the time of faith. We are saved by BELIEVING! John 6:28-29, “Then said they unto him, What shall we do, that we might work the works of God? Jesus answered and said unto them, This is the work of God, that ye believe on him whom he hath sent.” Thank you Lord Jesus! Lordship Salvation is a false Gospel that requires a change of behavior as a part of salvation, and that's where the trouble starts, because that is works for salvation. As I have shown you, Dr. Greene's two writings between 1969 and 1970 drastically contradict each other, which clearly leads me to believe that Dr. Greene received much criticism from faithful preachers when his commentary was published. I could be wrong, but it strongly appears to me from the evidence I have shown you, that Dr. Greene wrote his book BELIEVE and BE SAVED to let his critics know exactly where he stands. I am not defending Dr. Greene's 1969 heresy, I am showing you that he 100% correctly taught in 1970 that salvation comes simply by BELIEVING, nothing else. Dr. Greene plainly teaches that solely BELIEVING on the Lord Jesus Christ IS SUFFICIENT enough to save a sinner. Amen and amen! Again, when I trusted Christ at age 13, I was not willing to live a new life. I was not sorry for my sins. I had no desire to clean up my life. Those qualities CAME AFTER I was saved, in the months to follow, as a result of the indwelling Holy Spirit. To be saved, I simply realized that I was a sinner and placed my trust in Jesus' death, burial and resurrection (i.e., the Gospel). The “Good News” of what Jesus did on the cross to pay for my sins is my ONLY hope for forgiveness of sins and eternal life. I love you Jesus!! !